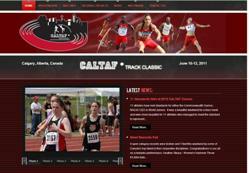 Calgary Web Design - CMS Website Design Calgary - Web Design by Content Management System Calgary, Alberta, Canada! A good website might help you build your business or it might be your business. Either way, you can use the power of the Internet to spread information and attract a crowd. Take your online business to the next level! Give your customers an efficient, multi-function website that puts the right tools at their fingertips. SKGOLD® Hosting can help you move ahead with a professionally designed website that stands out above the rest. You want a dynamic and interactive website, one that effectively showcases your goods and services while it manages your transactions quickly and accurately. SKGOLD® Hosting will build just what you need, using an award-winning, open-source Content Management System (CMS). This content management system gives you maximum flexibility to design a website tailored to your unique business needs. You can generate as many pages you want. You can add the functional features you need. You can update your pages at any time, directly online. and YOU can handle it without any web design experience! The term pretty much describes itself: it is a software package that allows you to manage every bit of electronic information (web content) you put on the Internet. A CMS is an integrated package of tools that makes it easier for you to manage your inventory (products and services), your content (pictures and descriptions) and your sales (secure shopping cart and check-out), while you provide a level of professional service your customers have come to expect. What are the benefits of a CMS? A content management system can help you control every facet of your business’s web presence. It can help you to display and manage your products, information and pricing; time-stamp promotional materials to come off the web when they’re stale; and post SEO-enhanced blogs, articles and news releases to attract new customers who use search engines - and all this without any design & webhosting knowledge and experience. What is open source CMS? Open source Content Management System simply means that a community of software developers have pooled their collective genius to create the product and then made it available to all users. The most popular CMS are WordPress, Joomla and Drupal. Knowledge is power, and we want you to have both. Don’t sweat it if you have never used a content management system – it really is very easy to learn and operate – and SKGOLD® Hosting will teach you how to use the system we build for you. We will show you how to add content and features, update material, and remove items you no longer want. You will have unlimited access to email consultations through our support ticket system. The price for installation, system set up and professional design starts at only $998,$798,$458. This one-time fee includes FREE domain registration and FREE webhosting account for an entire year. After your first year, you'll pay our regular domain name registration and web hosting fees. Web Design with Content Management System! We build it for you! We host it for you! ...and we teach you how to use it!